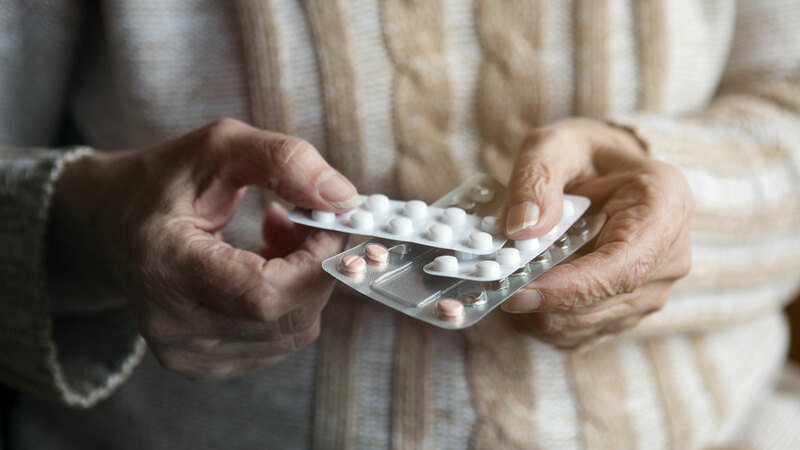 Many older adults complicate their health with the misuse of over-the-counter (OTC) drugs. When a medication does not require your doctor’s prescription, don’t assume that it is automatically safe. Over-the-counter-drugs include health supplements of all kinds. A person’s physical health, the other drugs being taken, the effect of any drug with alcohol, the quantity of the drug and the weight and age of the user are all complicating factors. What are the effects of over-the-counter (OTC) drugs on seniors? Older adults should always monitor their consumption of all medications and share that information with their primary care physician and any specialists they visit. The combination of any drugs with alcohol — including over-the-counter (OTC) drugs — can result in problems with coordination, nausea and irritability, as well as other problems. Those who drink more than three drinks daily should not take a number of analgesics. Always find out what risks are involved in OTC drugs and drug interactions. OTC drugs can be dangerous when mixed with other drugs, and many have potentially harmful effects themselves. If you have a serious medical condition, there are some OTC drugs that you should never take. If analgesics are used in high doses, cardiovascular and renal toxicity can occur, as well as gastrointestinal hemorrhaging. Use only OTCs with ingredients you need because you could be taking too much of the same thing with multiple medications. Seniors with high blood pressure and other medical conditions should avoid diet pills and “energy” potions and drinks, as they have been associated with cardiovascular problems. Just because the ingredients are “natural” doesn’t make it safe. Herbal remedies and vitamin complexes may not all be safe, and their claims are often unproven. Seniors should never take vitamins or other supplements as substitutes for the nutrition and fiber in a healthy diet. Malnutrition and constipation are among the consequences. Be aware that some OTCs including cough syrups contain alcohol, and should be avoided by anyone in recovery. Drugs that combine cough suppressants with sleep-inducing properties may not mix well with other medications. Addiction to prescription medications can be dangerously complicated by the use of OTC medications. Remember that OTC medicines are drugs. Share with your doctor every medication you are taking, including vitamins, supplements, and prescription meds. If you are experiencing health problems, don’t simply self-treat and self-diagnose, see your doctor.